Though foreign policy of any country happens to be a well-planned, consistent, predetermined and calculated statement of its goals and objectives and their priorities and also about the methodology that the country shall use with a view to realise them, the constant application of the so prescribed principles of foreign policy always presents several challenges as well as prospects before the decision-maker or the leader of the country. While challenges create problems before the decision-maker that prompt him to explore solutions to resolve these crises, the prospects open the way for favourable conditions to accomplish the so-defined goals regarding the foreign policy of the country. It is in this context that Indian Prime Minister Narendra Modi began his term two years ago while expressing his full faith and firm commitment to the proclaimed objectives of India’s foreign policy viz. peace, non-violence, non-alignment and the like, which were enunciated by the founder architect and first Prime Minister of independent India Jawaharlal Nehru even prior to independence of the country and were announced to the world over All India Radio in his speech to the nation on September 7, 1946. But the compulsions of the global scenario that emerged after the end of Cold War in 1990 — wherein the US had moved ahead from its erstwhile Super Power status to occupy the global centre-stage as the first Hyper Power controlling even the ideas of people in the world and thereby paving way for the emergence of a unipolar world order as against the bi-polar world order with the then USSR as a counter-pole as well as an independent bloc of communist countries that came into existence immediately after the Second World War — categorically demanded India’s inclination towards Washington so that India’s national interests may be secured and preserved. It was not that the erstwhile USSR had disintegrated to become obsolete and redundant for India after having supported New Delhi in its critical moments — whether it was in the United Nations or in the Indo-Pak wars, particularly of 1971. The fact of the matter was that the USSR was not that much powerful and influential enough where it would be able to challenge US hegemony as a counter-pole in the world politics, as it had been doing in the aftermath of the Second World War during the fierce Cold War years of international politics and relations. There are no simple or reliable ways to estimate the trends in terrorism, and the National Counter Terrorism Center (NCTC) no longer provides any declassified estimate of global trends. The National Consortium for the Study of Terrorism and Responses to Terrorism (START) does, however, provide a useful database for tracking media reporting. In addition to the START database, graphical analyses by key media sources provide additional information that is current, and helps illustrate the sharp contrasts in given sources and estimates. Several NGOs have also made useful estimates that provide additional perspective. The Burke Chair at CSIS has prepared a report that compares the wide range of such data and trends. It does focus on ISIS and similar extremist groups, but also shows global trends for all forms of terrorism and key trends by region. A case study for the Middle East and North Africa highlights the kind of more detailed trends data available on given regions, countries, perpetrators, and types of terrorism. A hypersonic missile launched from mainland China could strike a U.S. carrier group located anywhere in the South China Sea in under 20 minutes. That’s a hypothetical right now, but hypersonics are poised to be the next big thing in defense technology. A hypersonic weapon is any projectile that is able to achieve and sustain speeds at or above Mach 5, which is to say, five times the speed of sound. Some weapons, like electromagnetic railguns, can fire munitions at these speeds – but the primary focus of current research efforts is the creation of hypersonic missiles. Cruise missile type hypersonic weapons could be fired from planes or ships and would be relatively cheap, whereas hypersonic glide vehicles are the final stage of an Intercontinental Ballistic Missile (ICBM), which makes it both effective and accurate at very long ranges. Both types would be extremely fast and maneuverable, which makes them very difficult to intercept. Hypersonic weapons are currently under development by the United States, Russia, China, and India, though each country intends to deploy them differently. The U.S. envisions that hypersonic weapons will be an integral piece of the prompt global strike regime; a concept that seeks to deliver a precision guided conventional strike anywhere in the world in as little as an hour. While a couple of U.S. projects have had measured success, the current focus is on the Tactical Boost Glide program recently awarded to Lockheed Martin. This joint effort, in conjunction with the Air Force and DARPA, seeks to not only develop boost glide vehicles capable of delivering warheads, but also a manned hypersonic vehicle seen as a successor to the SR-71 Blackbird, which would be capable of speeds as high as Mach 6. Russia sees nuclear armed hypersonic weapons as a way to stay ahead of U.S. missile defense systems. However, Russia is likely to first deploy conventional cruise missile type hypersonic weapons on Russian naval vessels as a way to strike other ships or land targets. The missile the Russians envision being used in that capacity, known as the Brahmos-II, is currently in joint development with India. India’s Prime Minister Narendra Modi during a press conference, after his meeting with Russian President Vladimir Putin at the India-Russia Summit on October 15, 2016, said that ‘old friends are better than new friends’.1 He indicated that Russia should focus on strengthening its time-tested, special and privileged relationship with India as a strategic partner, rather than fortifying Moscow’s relationship with China and Pakistan. From India’s perspective, it can be interpreted that New Delhi’s growing relationship with the US cannot weaken the time-tested and special and privileged relationship with Russia. India still upholds its relationship with Russia and wants to enhance it further even if India’s ties with the US is growing. India and Russia have not been happy lately with each other’s growing relationship with the US and Pakistan, respectively. India and Russia understand the necessity of basing their relationships in contemporary times in the backdrop of the changing atmosphere of international relations. However, given their special, time-tested and privileged strategic partnership, a kind of expectation, on both sides, of not inching closer to their respective adversaries can be observed. Both countries are trying to enhance their relationship and iron out differences, such as in the defence and economic sectors, and also on the diplomatic field. On the diplomatic front, there has been some discomfort between India and Russia. India has shown its dissatisfaction to Russia regarding the latter’s growing friendship with Pakistan, including on the commencement of the Russia-Pakistan military exercise which took place in the last week of September. On the Russian side, India’s leaning towards the US has not gone down well with the Kremlin. The cycle of violence in Kashmir is abating at a very fast pace! With winter approaching, and the seat of power moving to the winter capital, Jammu, there is not much that the foreign sponsored disruptive elements can do anymore. They have retreated with egg on their collective faces. What has gone unnoticed in this period of turmoil is the clinical manner in which the Indian Army has managed to keep the terrorist and infiltration threat in control, despite desperate attempts by the foreign forces to increase the threshold of violence. In fact, the intensity of counter terrorist operations has increased considerably over the last week or so. Intelligence agencies are, once again, receiving precise and timely information which is facilitating conduct of well planned, swift and decisive operations with resounding success. 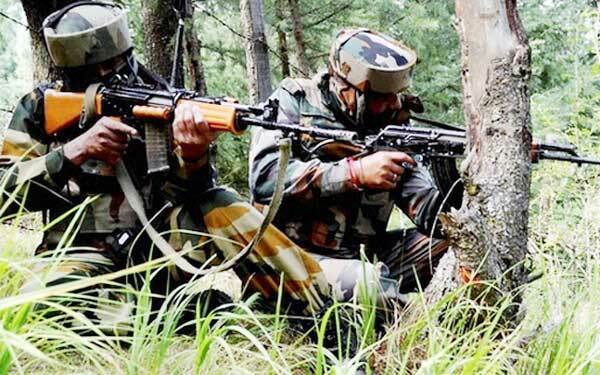 On November, 5, a terrorist was killed in Shopian in a joint operation followed by yet another successful strike at Durjan on November, 7, that led to the killing of yet another terrorist. Security forces did not buy casualties in any of these operations since they were well planned and based on specific intelligence. In a one of its kind incident on 04 November, a local terrorist, Umaq Khaliq Mir, resident of Tujjar, North Kashmir and aligned with the foreign terrorist organisation Lashkar-e-Toiba (LeT) surrendered at the behest of the Indian Army that had established a cordon to flush him out. Mahender Mishar (Mishra) of Behar (Bihar) was a short, dark man who, had you met him in a dark alley, would have probably greeted you with a polite “namaste” and moved forward, head bowed. Until one fine day in probably the mid-1930s (year not known), the British media reported that this seemingly innocent man was a criminal mastermind who had perfected the art of counterfeiting British currency. Mishra was packed off to prison. Emmerich Heisenberg, a Nazi secret agent in London read about this in the “Daily News” with a great deal of interest. So impressed was he with the entire scam, that he sent a clipping from the newspaper to his boss in Germany, SS Major Bernhard Krüger. What the Indian had done for personal profit, Nazi Germany started doing, to damage the economy of England. 142 inmates, mostly Jewish, were gathered from Sachsenhausen and Auschwitz, both concentration camps with an evil reputation of sending Jews to the gas chambers. Top German artists, forgers and mathematicians were brought together under the express orders of Fuhrer Adolf Hitler. Bernhard Krüger was made the mission leader, with express orders from Hitler to print counterfeit currency of an extremely high quality, which would pass even the closest of examinations. Engraving printing plates, developing rag-based paper and breaking the serial number code was difficult, but Nazi Germany has no dearth of talent. By 1942, the Nazis were ready. The operation was named after Krüger. They called it Operation Bernhard. Defence Minister Manohar Parrikar on Thursday wondered why India cannot say "we are a responsible nuclear power and I will not use it irresponsibly" instead of affirming a "no first use policy", remarks he said were personal in nature. "Why should I bind myself? I should say I am a responsible nuclear power and I will not use it irresponsibly. This is my (personal) thinking," Parrikar said replying to a question as he explained the need to be unpredictable in warfare strategy. Following the nuclear weapons test in 1998, India had declared a "no first use" nuclear policy. Taking a dig at the media, he said they will publish that the nuclear policy has changed. "It has not changed in government. It is my concept. As an individual I also get feeling. I am not saying you have to use it first. Hoax can be called off," he said, adding that prior to the surgical strike, Pakistan Defence Minister used to threaten India with the possible use of tactical nuclear weapons. "From the day surgical strike happened, no threat has come. They realised that we can do something which is not well defined," he said. Asked if this means that India is going to rethink its nuclear policy, the Minister replied in the negative. India on Thursday night took strong exception to the World Bank's "inexplicable" decision to set up a Court of Arbitration and appoint a neutral expert to go into Pakistan's complaint against it over Kishenganga and Ratle hydroelectric projects in Jammu and Kashmir. Surprised at the World Bank's decision to appoint a neutral expert, as sought by the Indian government, and at the same time establish a Court of Arbitration as wanted by Pakistan, India said proceeding with both the steps simultaneously "legally untenable". "Inexplicably, the World Bank has decided to continue to proceed with these two parallel mechanisms simultaneously. India cannot be party to actions which are not in accordance with the Indus Waters Treaty. 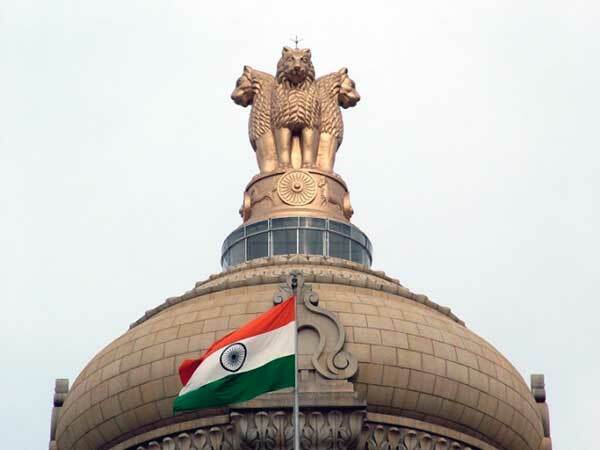 "The government will examine further options and take steps accordingly," External Affairs Ministry Spokesperson Vikas Swarup said. Under the Indus Waters Treaty, signed between India and Pakistan and also the World Bank in 1960, the World Bank has a specified role in the process of resolution of differences and disputes. Swarup said on the issue of differences between India and Pakistan on Kishenganga and Ratle hydroelectric projects under the Indus Waters Treaty, India had asked the World Bank to appoint a neutral expert to resolve the differences of a technical nature which are within the domain of a neutral technical expert. India and China, the flag bearers of the Asian century in international relations share a complicated relationship. Beyond the thorny issue of the historical boundary dispute and the ever widening trade deficit, newer issues have cropped up recently. Terrorism, which is a significant challenge as a source of non traditional threat in international relations, has also dug its ugly way into Sino-Indian relations, with China blocking India’s moves at the United Nations to blacklist JEM leader Masood Azhar. While reasons for the move provided by the Chinese side are “technical issues”, the fact that the organisation in question operates from Pakistan- which is China’s all weather friend cannot be ignored. China has had its own share of woes due to terrorism. In fact it has been argued that the controversial China-Pakistan Economic Corridor which runs through disputed territory is Beijing’s attempts to better secure its own territory from terrorism. Uyghur militant groups which Beijing seeks to clamp down on have sought refuge in the Pakistan- Afghanistan border areas, where they have established links with the Al Qaeda and Taliban in Afghanistan and Pakistan. The East Turkmenistan Islamic Movement (ETIM) is one such militant group which has repeatedly targeted and attacked Chinese interests in Pakistan. Therefore, to reduce the anti state sentiment and generate public resources for additional improvements in law and order, Chinese investments in Pakistan are meant to create jobs,. By tackling the threat of jihadi organisations in neighbouring Pakistan, China hopes to somehow secure its own territory better. Therefore, the “friendship” with Pakistan needs to be stronger than ever before, and a blocking of public maligning of the “friend” at the international level when China has the power to block any such move is but natural. The point to remember is that all of this is actually in China’s self interests. It needs Pakistan to secure its own territory, as a result of which it is willing to further alienate a country like India. Silk Road in South Asia: Designed to be a game changer? Building new Silk Road trade routes -- an ambitious project masterminded by Chinese President Xi Jinping -- appears a game changer in South Asia's regional politics. During his landmark visit, Dhaka agreed to give full support to his initiative. Earlier, Pakistan, Sri Lanka and the Maldives, three Saarc members, agreed to the plan. In 2014-15, the Chinese leader visited India and the three countries, and China inked deals worth billions of dollars for development projects in those countries. At the time, Beijing signed deals worth $46 billion with Pakistan, $20 billion with India, $1.4 billion with Sri Lanka and worth $500 million with the Maldives. India, however, still remains hesitant about joining the bandwagon as many of its policymakers think that China wants to increase its influence in the region through this initiative. "A rising China has steadily used its economic and military clout to woo Indian's neighbours and incorporate them in its ambitious One Belt, One Road project," said Pinak Ranjan Chakroborty, a former Indian diplomat. Pinak, a distinguished fellow of Delhi-based think-tank Observer Research Foundation (ORF), in an article styled "China-Bangladesh bonhomie: India needs to restrategise as the Dragon woos this neighbour" wrote about Bangladesh-China's agreement to jointly advance the idea of building new Silk Road under One Belt, One Road Initiative. "It is an essential component of China's concerted move to woo India's neighbours and drive a wedge between them," he wrote in his article posted on CatchNews on Friday. After his two-day state visit, Xi left Dhaka yesterday morning for Goa, India, to attend BRICS Summit. The Chinese Shanghai Stock Exchange Composite Index dropped by a third in mid-2015, wiping out billions in share value. 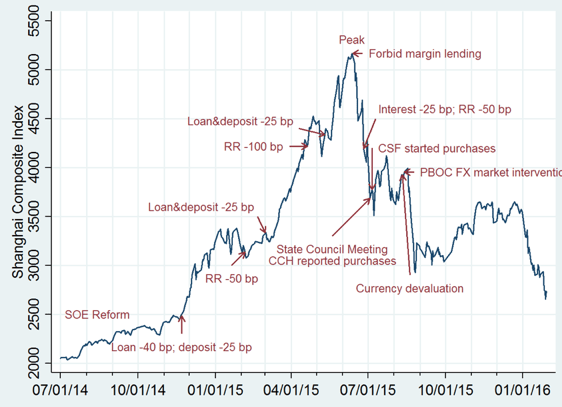 One of the responses of the Chinese government was to directly participate in the stock market. This column assesses the costs and benefits of this intervention, finding that the resulting gains amounted to about 5% of Chinese GDP. The value was created not just from increased equity and investor confidence, but also from increased liquidity and reduced probability of default for listed firms. From mid-June to early July of 2015, the Chinese Shanghai Stock Exchange Composite Index (SSECI) plunged by 32%, wiping out more than RMB 18 trillion in share value from its 12th June peak. The value lost was equivalent to about 30% of China’s GDP in 2014 and about 20% of US GDP in 2014. Figure 1 presents the SSECI index and some major events that happened during the period from 1st July 1 2014 to 30th September 2015. China's phenomenal economic growth over the last three decades, along with the country's rising international status, has generated high expectations regarding Beijing's contributions to the global and regional agendas for nuclear disarmament and nonproliferation. At times, these high expectations have led to dissatisfaction with China's current disarmament and nonproliferation portfolio. Indeed, China has come under a lot of criticism in the international press—over Beijing's nuclear cooperation with Pakistan (The Diplomat), Chinese individuals' secret sales of prohibited items to Iran (Newsweek), and Beijing's reluctance to punish North Korea's nuclear provocations (The New York Times). To its critics, China has been both a consistent proliferator and a free rider on (or even a block to) global nonproliferation efforts. But these criticisms are misleading and simply not objective. The truth is that, since the late 1980s, China has undergone a dramatic transformation in nonproliferation policy and implementation. To be sure, China was skeptical decades ago about the benefits of nonproliferation. But today Beijing is a proactive player in nearly all the major nonproliferation treaties and regimes. Beijing may have failed so far to win membership in the Missile Technology Control Regime, but it has nonetheless observed the regime's guidelines and control lists. China demonstrated increasing interest in nonproliferation when, in 1997, it suspended transfers of nuclear reactors and missile technologies to Iran. Beijing has investigated Chinese entities and individuals suspected of assisting other countries' nuclear programs. Moreover, to close loopholes that have permitted Chinese individuals and privately owned companies to engage in illicit trade activities, Beijing has created new legal and administrative mechanisms that tighten export controls and sanction any exports of restricted goods. China is also an active participant in multilateral efforts to cope with proliferation challenges. China has taken a leading role in the six-party talks over North Korea's nuclear program. Beijing played a uniquely constructive part in the marathon negotiations that led to the Iran nuclear deal. China has endorsed UN resolutions regarding both the Iranian and North Korean nuclear programs. China was critical to the indefinite extension of the Nuclear Non-Proliferation Treaty and in negotiations toward the Comprehensive Nuclear Test Ban Treaty. China has been a key country in upholding the norms of both the treaty and the Nuclear Suppliers Group. The partnerships between Chinese and Russian businesses are encouraged at the highest level by Russian political authorities, as shown by Russian Deputy Prime minister Dmitri Rogozin 7 December 2015 statement, given in Beijing, when he invited Chinese involvement in the Northern Sea Route (“Moscow invites Beijing to take part in Arctic sea route project”, RT, 7 December, 2015). This invitation is rooted in the nexus of Russo-Chinese political, logistical and business partnerships, heightened by the Chinese “New Silk Road” strategy (Lanteigne, ibid). The “New Silk Road” is an immense process for the development of land and maritime transportation, as well as energy, mineral and cyber infrastructures, officially launched by Chinese President Xi Jinping in 2013. It is accompanied by legions of commercial contracts and political deals between the Chinese public and private sectors and their counterparts in the different countries and continents belted by the “One Belt, One Road” initiative (Shannon Tiezzi, “China’s New Silk Road” vision revealed – a new series in Xinhua offers the clearest vision yet of China’s ambitious “New Silk Road””, The Diplomat, May 09, 2014). The New Silk Road is conceived as being a gigantic “loop” spanning from the centre of the “Middle Kingdom” to Rotterdam and from the port of Quanzhou in Fujian to Kenya, Egypt and Europe (Tiezzi, ibid). It goes with massive investments made by the Chinese-led Asian Investment and Infrastructures Bank (AIIB). “As the climate becomes warmer and polar ice melts faster, the Northeast Passage has appeared as a new trunk route connecting Asia and Europe” … “COSCO Shipping is optimistic about the future of the NSR and Arctic shipping” (Atle Staalesen, “COSCO Sends 5 Vessels Through Northern Sea Route”, The Independent Barents Observer, October 10, 2016, and Jean-Michel Valantin, “Arctic China (1)- The Dragon and the Vikings”, The Red (Team) Analysis Society, 24 May, 2014). In an earlier article on the USAF X-37B space plane I noted that the Obama administration’s 2010 space policy sought to avoid space weaponization and ASATs. Washington’s current policy reinforces international norms against space warfare and relies on enhanced space resilience, as well as reconstitution of space capabilities. In stark contrast, Russia and China now are actively developing ground-based, airborne and co-orbital ASATs. In May 2013, China launched a high altitude research rocket that reached Medium Earth Orbit, and demonstrated the means to attack satellites in Geosynchronous Orbit, thus bringing critical US communications and navigation satellites into range. Technologies like electronic warfare and microwave weapons open up the prospect of non-kinetic ASATs which can disable a target satellite by jamming or overloading its electronic systems, without physically destroying it. It’s clear that current US space policy isn’t preventing space weaponization. Our reliance on space resilience and reconstitution may mitigate some effects of space warfare, but it’s likely the US and its allies would have to fight within a degraded space environment after what’s commonly referred to as a 'Space Pearl Harbor' environment. The effectiveness of mass and firepower over degraded information-dependent forces would see the latter lose the ability to exploit a knowledge edge to employ precision weapons. The playing field would be levelled and, for the US and its allies including Australia, the use of military power would be much more risky. The 2010 policy states that the US will “develop capabilities, plans and options to deter, defend against, and, if necessary, defeat efforts to interfere with or attack US or allied space systems’ and that it’ll ‘maintain the capabilities to execute the space support, force enhancement, space control and force application missions.” Current US space doctrine breaks Space Control into ‘offensive’ and ‘defensive’ approaches. A live visualization of the online phishing and fraudulent phone calls across China. CHINA’S INTERNET is a universe of contradictions. It has brought hundreds of millions of people online and has become a vast marketplace for digital commerce, yet it is also heavily policed by censors to snuff out any challenge to the ruling Communist Party. Under President Xi Jinping, the censors are working overtime to keep 721 million Internet users under control. The latest effort came Monday. China’s national parliament approved a cybersecurity law that can be used to restrict free speech and force foreign Internet companies to heed the demands of China’s security services. Censorship is not new in China; a huge phalanx of officials are devoted to it, harsh punishments are meted out, and the country is ringed by a content-blocking Great Firewall. But now censorship will be more fully enshrined in the legal code. 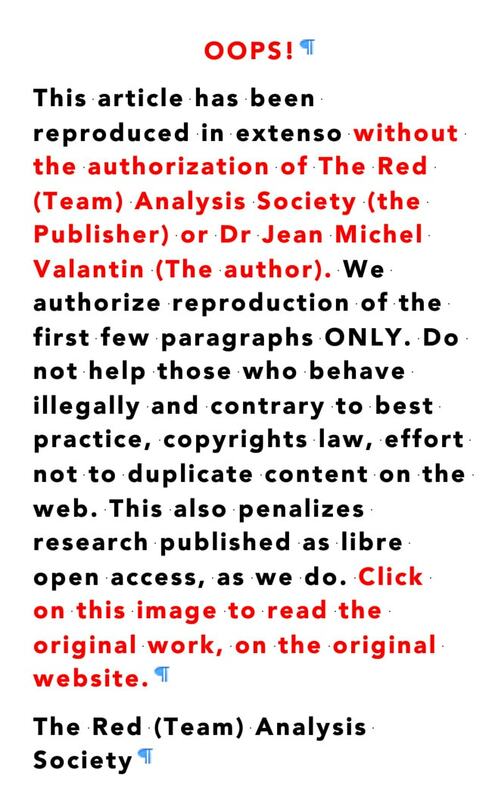 Article 12 of the new law prohibits use of the Internet for “inciting subversion of the national regime” or “the overthrow of the Socialist system.” Also banned is inciting separatism or ethnic hatred, “endangering national unity,” or “fabricating” or disseminating false information about the economy. These are all touchstones of Chinese authoritarianism, vague enough to be deployed in many circumstances to smother dissent. Article 37 of the new law requires “critical information infrastructure operators” to store users’ data, including that of foreign companies, on Chinese territory, making it easier for the security services to snoop. Article 24 requires Internet providers to demand the real identity of those they provide services to — making it easier for security services to track down those who would like to speak their mind. Many foreign businesses are also alarmed that the new law may give the Chinese authorities access to their technology and data. The U.S. national security community needs to focus more on the driving forces and likely associated consequences that will influence warfighting in the 21st century. A disproportionate amount of effort is spent by national security experts on narrow problem and solution spaces without an adequate appreciation of broader trends and potential shocks that could dramatically change U.S. national security perspectives. By largely ignoring these longer term factors, the U.S. military is unlikely to develop the needed national defense capabilities to deal effectively with critical threats in this emerging environment. With even greater fiscal constraints predicted for the U.S. Department of Defense (DOD) in the decades to come, it is crucial that U.S. military forces and their capabilities be properly aligned to counter a wide spectrum of threats and challenges that could undermine U.S. national security interests in the first half of this century and beyond. Being vulnerable to the forces of nature is entirely social and political economic decisions. This article provides an overview of 40 years of critical disaster studies and why critical approach to understanding disasters can save lives. Amidst growing calamities globally, it may be time to ask a fundamental question: Is there anything natural about natural disasters? Vulnerable housing and buildings that collapsed in recently in Italy and Haiti this year and in Nepal last year are examples of public policy failures to ensure resilience of new and old buildings to earthquakes in places around the world. Critical disaster studies have long argued that natural disasters do not exist. The overemphasis on the naturalness of the natural events such as earthquakes and storms as the root cause of disasters have been long contested for many good reasons at least in the last 260 years. So let’s be critical. Most planets experience quakes. On earth such quakes are called earthquakes. On Mars, there are marsquakes. On the moon, there are moonquakes. In a year, here on earth, we have at least 1.44 million earthquakes each year as documented consistently by the United States Geological Survey. And remember, the earth is a moving spaceship. It moves like a giant airplane orbiting the sun and in that process its stresses and strains get released to the surface. People just do not see it this way. Therefore, earthquakes are normal planetary phenomenon. Every year, our planet shakes at least one earthquake with 8 or higher magnitude; about 17 earthquakes with 7-7.9 magnitude and 140 earthquakes with 6-6.9 magnitude and 1600 with 5-5.9 magnitude. Data suggests that in the last 100 years, every day we have at about 36 recorded earthquakes with 4-4.9 magnitude and 3917 earthquakes with 2.0-3.9 magnitude. Many go undetected because they either hit remote areas or have very small magnitudes. Trump wants to get along with Russia. But there’s long been a steady stream of news reports characterizing Russia as an enemy. As a result Americans seem to have a firmly negative view of the country. Is Trump going to be able to overcome that? Should he try to overcome it? Trump has taken exception to the reliability of some of the negative stories. He’s questioned whether there’s any proof of the alleged Russian email hacking, for instance. My own research has found that the hacking story is not the only allegation against Russia that doesn’t hold up under scrutiny. That’s not apparent on the surface from the news reports, however. A recent national PBS TV program on which I was a guest brought home the realization what a tough time Trump will have fighting against established beliefs. The program is called White House Chronicle. I was interviewed by two distinguished journalists for whom I have considerable respect. We had a good discussion about the current issues surrounding Russia’s role in the world. But when I proffered that the Western news coverage of Russia is greatly distorted I received some well-intentioned push back. It was clearly counterintuitive to my interlocutors that news could be so massively biased. In effect, over the last few years, China has started becoming an important Arctic actor, through its membership as permanent observer at the Arctic Council as a “near-Arctic nation”. 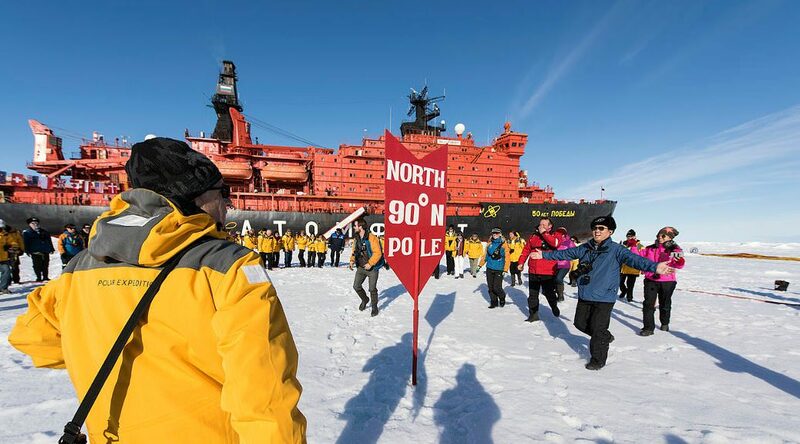 China is signing bilateral agreements with all the members of the Arctic council and is particularly interested by the energy and trade potential of the Russian Arctic (Valantin, “Arctic China (2) – The Chinese shaping of the North“, 9 June 2014”, The Red (Team) Analysis Society, 9 June 2014). China is projecting its gigantic influence in the Arctic, through scientific expedition, cargo convoys, trade and science partnerships, as well as financial investments, and has built its first own nuclear icebreaker, the Snow Dragon. An illustration of this strong dynamic is the fact that, during the summer 2016, the Chinese streamer seismic vessel Hysy 720 has completed an undersea seismic mapping operation, after having been chosen for this task by the Russian giant oil company Rosneft. This operation maps in 3-D images the underground formations through the use of sound waves, in order to identify their geological content, and thus their oil and gas potential. The marine underground is divided into blocks, which are then bought by the energy companies that wish to explore and exploit them. The Chinese ship Hysy 720 is the first grand deepwater seismic vessel not only built in China, but also owned by Chinese oilfield Services Ltd. Rosneft decided to hire this company in April 2016 in order to accomplish the mapping operation of two blocks during the summer 2016, before the return of the winter night and cold. (Atle Staalesen, “Russians Choose Chinese Explorers for Arctic Oil”, The Independent Observer, April 27, 2016). In order to prepare its campaign, the Chinese ship docked in Kirkenes, i.e. the northernmost Norwegian harbour city, and signed a docking agreement with the local Henriksen shipping company. We should note that the mapping of the second block was done in partnership and close cooperation with the Norwegian Statoil Company for the Norwegian side of the Barents Sea (Atle Staalesen, “First Arctic Summer for Chinese Oil men“, The Independent Observer, September 05, 2016). This shows, as other binational partnerships, the good Arctic relations between Norway, Russia and their companies, regarding the combination of energy development with changes in the Arctic environment. Over the last few years, Russia has been accelerating and intensifying the energy, commercial and military development of its land and sea Arctic region. The Russian political, industrial and trade authorities are creating an energy, industry and maritime trade corridor, which connects Asia to Europe. By the same operation, they are turning their Arctic zone into a new oil and gas Eldorado (Charles Emerson, The Future History of the Arctic, 2010). What makes this extreme endeavour possible is the fact that this immense region is profoundly affected by the warming wrought by anthropogenic climate change. In effect, during the last fifty years, the Arctic region has known the most rapidly warming on the planet, with a 3° to 4° degrees increase in average temperatures (Thomas Nilsen, “Arctic Russia Warms 2.5 Times Faster Than the Rest of the Globe”, The Independent Barents Observer, November 29, 2015). The disappearance of the Arctic sea ice is most strikingly shown in this 28 October 2016 animation gathering latest research by NASA below, where “Dr. Walt Meier of NASA Goddard Space Flight Center also describes how the sea ice has undergone fundamental changes during the era of satellite measurements.” (NASA, “See How Arctic Sea Ice Is Losing Its Bulwark Against Warming Summers “, 28 Oct 216). This mammoth change is profoundly altering the geophysics of the region, and goes with a decrease of the time, extent and thickness of the sea ice and of the land glacial conditions. 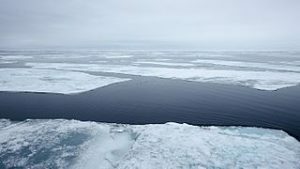 In thirty years, between the half and two-thirds of the summer Arctic sea ice have disappeared, setting up the conditions for a thermal feed back loop that keeps the ice increasingly melting, while the Arctic ocean absorbs more and more solar radiation, and heats up. This feed back loop is now qualified as “the Arctic death spiral”(Joe Romm, “Arctic Death Spiral Update: What Happens in the Arctic Affects Every Where Else”, Think Progress, May 3, 2016; see also video above). In this article on the development of the energy, business and military nexus of the Arctic by Russia, the Red (Team) Analysis Society studies how the Russian Arctic is becoming a new crucial business and strategic “centre” in the world, through the creation of numerous energy and infrastructure projects and operations, which attract Chinese companies (Jean-Michel Valantin, “Russian Arctic Oil: a New Economic and Security Paradigm?”,The Red (Team) Analysis Society, October 12, 2016). In effect, the Russian political, industrial and business authorities turn this immense extreme region into an international attractor, thanks to the combination of the consequences of climate change and of the natural resources, which become accessible because of the warming of the region and thus relative retreat of ice (see below in part 1, the 28 Oct 2016 NASA video visualising the retreat of the Arctic ice since 1984). The Russian strategy is efficient with, among others, the Chinese and Norwegian business and strategic actors, as well as interests. The Russian Arctic attractor is deeply dominated by Russia’s understanding and strategic vision of a quickly and massively changing planet (Jean-Michel Valantin, “The Arctic, Russia and China’s Energy Transition“, The Red (Team) Analysis Society, 2 February, 2015) and “The Planetary Crisis Rules (Part 1)”, The Red (Team) Analysis Society, 27 January 2016). China is sharing with Russia the understanding of the very practical consequences of the current planetary change upon politics and the economy. Consequently, the Chinese political and business authorities take action to turn these changes to their advantage (Valantin, “The Chinese Shaping of the North”, The Red (Team) Analysis Society, 9 June 2014). This goes with the development of commercial and strategic negotiations and partnerships with Russia, the dominant power of the Eurasian Arctic region. Reports that accounts of RT may be frozen in the UK, a claim later denied, ended up showing that the channel is becoming an effective global voice for Russia. As any reporter knows, there are at least two sides to every story. Covering politics, war, or diplomacy can involve grappling with numerous viewpoints in an attempt to get a version of the truth for your audience. Where journalism crashes into propaganda the truth is often hard to find in the wreckage. Then, perception is everything – and interpretation usually depends on the onlooker’s viewpoint. Reports in October that Nat West would be closing the UK bank accounts of RT – as the Kremlin-funded international TV channel launched as “Russia Today” now likes to be known – were later clarified, or denied. In this case, the truth was of secondary importance. The Russian authorities – in the shape of their London embassy – swiftly dismissed the incident as an “openly political decision”. The response from the Foreign Ministry in Moscow was menacingly sarcastic: “I wish the BBC Russian service luck,” warned a ministry spokeswoman, Maria Zakharova. "They will need it now, because digging stuff up can be a diverting and unpredictable business"
Whatever those consequences might be, this looks at first glance like nothing more than the latest ill-tempered episode in relations between Russia and the West. This time the news media – in this case the BBC Russian Service – is being lined up as a future target (I should declare here that I edited its website for a year from 2004-5). The smoldering conflict in Ukraine’s eastern provinces has now gone on for more than two years. Although an uneasy status quo has settled on the region, skirmishes continue, and tension periodically run high. With the prospect of open, large scale conventional combat receding, the focus has shifted to the tactics and weapons that either side can use to press the other at the margin, to recapture a sliver of territory, or increase the temperature on the enemy. Here are five kinds of weapons that Russia uses to maintain pressure on eastern Ukraine, and Kiev as a whole. Unless it decides to expand its incursion into Ukraine, Russia’s ability to hurt the Ukrainian government depends on its willingness to leverage airpower, economic power and cyber-power. Of the first of these, Russia has been reticent to carry out direct attacks against Ukraine with either aircraft or ballistic missiles. Given the weakness of the Russian economy, Moscow can offer less and less in terms of coercive economic statecraft. But in the cyber-arena, Russia remains dangerous. The U.S. Army Is Clearly the World's Most Powerful. What Happens When You 'Network' It? The Army is integrating sensors, weapons, computers, communications gear and display screens into its tactical and combat vehicles to lighten the load, streamline otherwise disconnected technologies and strengthen an ability to launch electronic attacks, service officials said. The new “open architecture” on board the vehicles uses ethernet technology to connect C4ISR systems including targeting, weapons and electronic attack applications. The VICTORY effort, called Vehicular Integration for C4ISR/EW Interoperability, is intended to lessen the need for multiple disparate GPS, sensor, display screen and communications “boxes” built into a single vehicle. The C4ISR and electronic warfare integration, called the “VICTORY” initiative, is aimed at correcting problems created by a “bolt-on” approach to putting multiple pieces of equipment on combat vehicles. The Army plans to have this new architecture implemented on a wide range of vehicles by next year. VICTORY will be engineered into Joint Light Tactical Vehicles, Strykers, Abrams tanks and Bradley Fighting Vehicles, among others. Aimed at improving what Army developers call “precision, navigation and timing (PNT),” VICTORY will also make combat vehicles more resistant to jamming and electronic attacks.